Protein shakes and real food go head to head in the post-workout window. But what is best for muscle recovery? There was a time when every gym goer thought he had to slam down a shake within 30 minutes of putting that final dumbbell away. Times have changed. Although the idea of a strict post-workout window has been largely debunked (1), there’s still some solid evidence to back up eating after training. The timing of your post-workout nutrition might not be as crucial as we once thought. But the contents are. After a workout, your body needs protein and carbohydrates. Does it matter if you get those macronutrients from a quality protein shake, or from a meal? What Is Post Workout Nutrition? Just as breakfast can be any meal which breaks the overnight fast, your post workout nutrition is any snack, shake, or meal you have after training. Most people prefer to get this meal in within 45 minutes, but it still counts as a post workout if it happens two hours after training. Your post workout nutrition replenishes energy and muscle glycogen, helps reduce muscle tiredness, and can stave off soreness. One of its most important roles is boosting muscle protein synthesis (2). The amino acids in your post workout protein stimulate net muscle protein synthesis, a key part of the muscle building process. We know a good post workout meal should include a fast-digesting protein and carbohydrate, with very little fat (as fat slows gastric emptying). Does it matter whether you get these macros from a quality protein shake or from fish and potato? Let’s look at the pros and cons. The obvious benefit of the protein shake approach is convenience. Mixing up a protein shake takes a few seconds. Grab a banana or some rice cakes for your carbs, job done. Or add the protein powder to a fruit smoothie, stir it into oats, and eat. This is a great option if you go straight from training to work or college, or if you won’t have access to a kitchen for several hours. You can drink a protein shake or smoothie pretty much anywhere. No smell. No mess. No utensils. And you can get really specific with the macros, ideal if you are dieting, or want to hit carb and protein numbers during a gaining phase. The one downside to most protein shakes is they are just protein. Whey, casein, and vegan protein powders contain a good hit of protein, but the carbohydrate content is incidental. So you need to find a carb source alongside the protein shake. The solution? Use an all in one, post workout protein powder like CNP Pro Recover. We made this specifically for the post workout recovery window. It’s already got everything you need: three types of protein, high glycemic carbohydrates and di- and tri-peptide amino acids and BCAAs. If you’re going to go the protein shake route after training, we strongly advise you use a specific recovery shake like Pro Recover. Otherwise you’ll be missing the opportunity to flood your system with fast acting carbs, aminos, BCAAs, and vitamins. (A simple whey protein shake just isn’t the same). Of course, a home cooked meal is a valid option for the post workout window. But here’s why we’re not a huge fan. First of all: logistics. Hands up if you always have access to a food prep area, hob, microwave, cutlery and utensils straight after training? Can you prep, cook, and eat a meal within an hour or so of leaving the gym? Most people don’t have the time to do this without getting stressed. The reality is you’ll get hungry (and probably start picking at a bad food choice before your food is ready). Or you’ll get distracted, and finally get the chance to eat 3 hours later. And then of course there’s the basic fact of what to eat. Your challenge is to create a whole food meal with the exact macros, micros, vitamins, and energy balance of a scoop of Pro Recover. That means weighing food, calculating macros, and tracking the meal. We think it’s a lot easier just to use Pro Recover as your immediate post workout meal. Then focus on whole food later in the day, when you’ve got the time to do it justice. What’s your approach to that crucial post training meal? Shake, snack, meal, or smoothie? 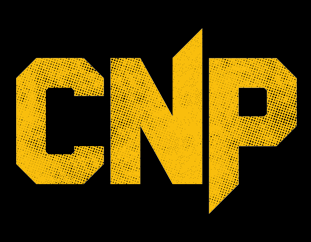 Shop the range of CNP Professional post-workout supplements to find the perfect product to suit your needs.